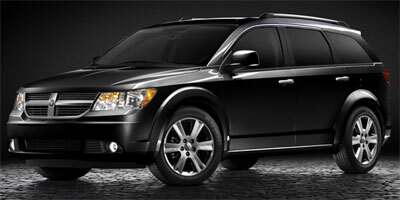 Our 2010 Dodge Journey R/T is the ideal suburban family machine! It features Dodge's 3.5L V6 churning out 235hp while still returning nearly 25 mpg on the highway! This means fewer stops at the gas station which translates into more money leftover for the fun things in life! Add in a 6-Speed automatic All Wheel Drive and this is one family-hauler that appeals to the masses, thanks to its sporty style! Our R/T is loaded with amenities, such as a sunroof, navigation, backup camera, leather seating and a DVD player. These are just a few in a long list of features. Check out our pictures. Safety is a priority for our Journey, too, coming equipped with nearly every safety feature in Dodge's arsenal..
Get in here today before this Journey R/T is gone! Print this page and call us Now... We Know You Will Enjoy Your Test Drive Towards Ownership!